Content Curation - How to Plan the Best Strategy That Ignites Your Social Branding? Content curation is an art, yes, it's more than just technology. The best users of content curation tools are the ones who have mastered the art of using them effectively. Some of us are not even aware of the benefits which these tools offer. The amazing technology working behind, provides us an easy opportunity to leverage on the existing content in order to maximize it for our own branding needs. I am a big fan of paper.li and scoop.it when it comes to curating content. With paper.li, I can choose my own topics, select the available resources and boom, my personalized channel is ready. This happens at a lightening fast speed and I save a lot of time. Yes, the interface is easy but the real work starts after the newspaper gets created. I need to devise strategies and plan the publishing of sources in a manner so that it serves my main business needs. With Scoop.it, I can choose my own sources to publish a customized magazine and also suggest my resources to many people who have curated similar content. This is the best feature that I love on Scoop.it. Utilize the available content curation tools and create proper channels in each one of them. The channels created must serve a purpose and should not be a sole marketing channel. The best way is to pick up a topic and curate stories around that. This will lead to more user engagement. The loyal followers for your social channels should be increased. 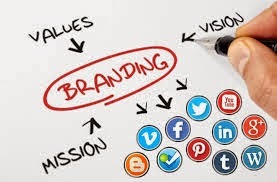 If you are creating a channel for your brand and using your main brand name then you may post content, news and events that helps to educate the followers about your brand. This will help to keep them updated. Limit the number of posts to 2-3 per day as more posts will lead to distraction. Choose a suitable time for posting updates based on the targeted location and social channel used. Select authoritative channels for curating content. Less trustworthy channels might lead to less user trust upon your brand. Comment and post appropriate feedback to your followers as this will help to increase the level of engagement. Do you want to share any additional techniques that has helped you with content curation in the past? Please share them in the comments below.